I haven't decided yet if there is a spot for this book on my "Favorites" shelf. Its heroine certainly deserves a spot on my "Favorite Heroines" one! The other characters weren't bad either! 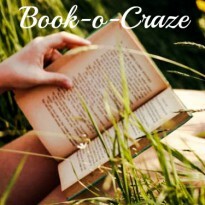 Ally Carter has done an amazing book with this book. I've never before read a book of hers, but this book alone was enough of a push to read more of this author. The storyline was narrated very carefully and interestingly enough to hold the attention to the facts the author wanted us to. The pages were actually flowing, too! I could have ended this book very easily in the same day, if I hadn't started it around midnight! Even that way, I had only almost 5 chapters out of 37, or so, to read today! As for the heroes? Well, so many things can be said, and they would still be too little to actually do justice to the creativity of the author. 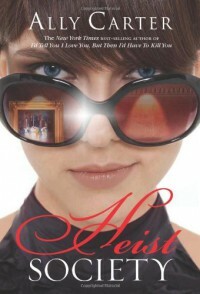 Every person in this book had a role, with the mastermind, Katarina Bishop, being the most awesome thief. A thief with honor, teenage but so wise beyond her age. I guess this comes naturally, if you grow up in a family like that. Generally, the whole book, was like watching one of my favorite movies of all time "The Italian Job", with the whole planning before stealing, with the mastermind, with every person having a part they serve, that suits their personality. I loved it, just as much as I love that movie! Would probably read the book again sometime, which says a lot about just how much I enjoyed reading it.